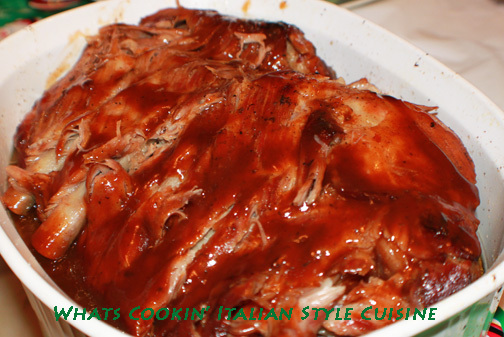 A melt in your mouth Baby Back Spare Rib recipe! I don't make these very often but it's a treat to have these when the flavors are over the top and melt in your mouth with tender goodness. Mix all ingredients together (except ribs) this makes 1 1/2 cups. Mix 1 teaspoon chili powder, 1/2 teaspoon garlic powder, pinch of cayenne pepper, 1/2 cup bourbon or cola soda or root beer soda, salt, pepper to taste and 2 tablespoons olive oil, place over the ribs. Marinate 3 hours if there is alot of juice from meat drain leaving a half cup . Bake at 300 degree oven and slow cook the ribs using them placed in a large Reynolds cooking bag or wrapped tightly in sprayed oiled aluminum foil for around 2 hours or until ribs are fork tender. You can also cook these on the grill tightly wrapped in oil sprayed aluminum foil then grill until tender around 35 to 40 minutes. Around 1/2 hour before they are done put around 1/2 cup of the sauce on the ribs and continue baking or grilling till tender. Use the rest of the sauce for dipping or will keep in the refrigerator for up to two weeks.